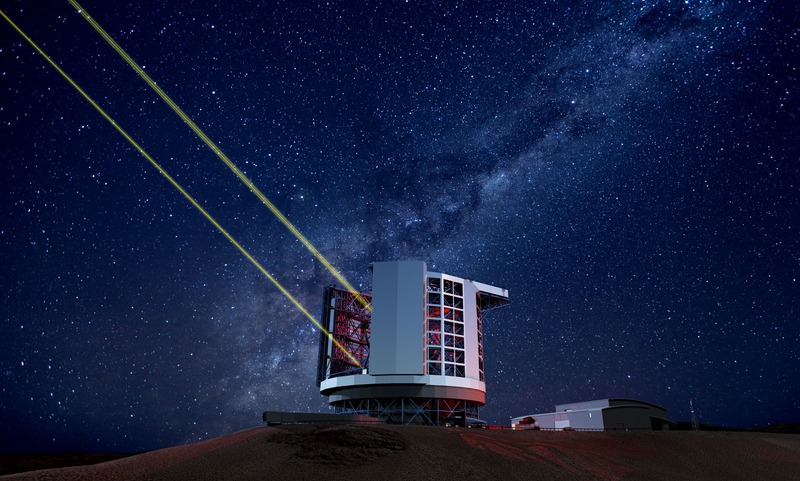 Leaders and supporters from an international group of partner universities and research institutions, are gathering on a remote mountaintop high in the Chilean Andes today to celebrate groundbreaking for the Giant Magellan Telescope (GMT). The ceremony marks the commencement of on-site construction of the telescope and its support base. The GMT is poised to become the world’s largest telescope when it begins early operations in 2021. It will produce images 10 times as sharp as those delivered by the Hubble Space Telescope and will address key questions in cosmology, astrophysics and the study of planets outside our solar system. The GMT will be located at Las Campanas Observatory in Chile’s Atacama Desert. Known for its clear, dark skies and outstanding astronomical image clarity, Las Campanas is one of the world’s premier locations for astronomy. Construction crews will soon be busy on the site building the roads, power, data and other infrastructure needed to support the observatory. The unique design of the telescope combines seven of the largest mirrors that can be manufactured, each 8.4 meters (27 feet) across, to create a single telescope effectively 25 meters (82 feet) in diameter. The giant mirrors are being developed at the University of Arizona’s Richard F. Caris Mirror Laboratory. Each mirror must be polished to an accuracy of 25 nanometers (one-millionth of an inch). 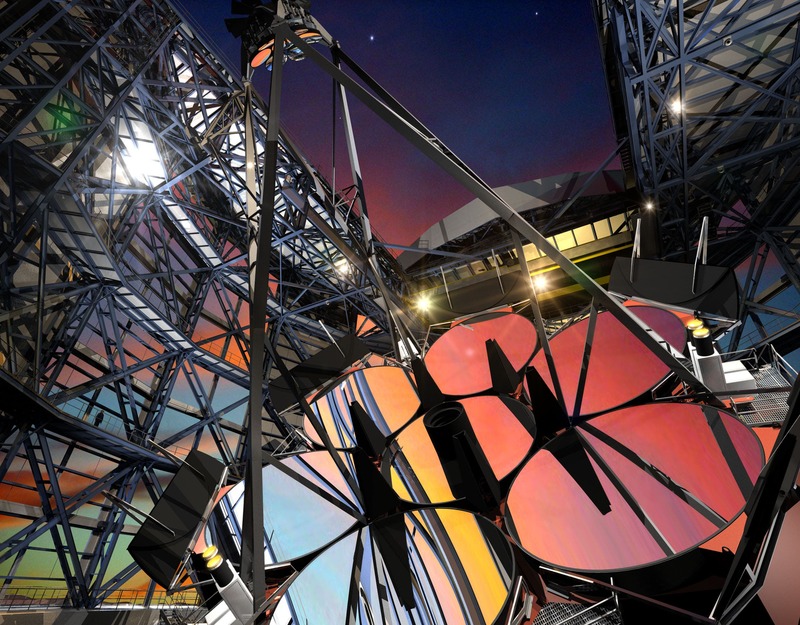 “An enormous amount of work has gone into the design phase of the project and development of the giant mirrors that are the heart of the telescope. The highest technical risks have been retired, and we are looking forward to bringing the components of the telescope together on the mountain top,” says Patrick McCarthy, interim president of the GMT Organization. The GMT will enable astronomers to characterize planets orbiting other stars, witness early formation of galaxies and stars, and gain insight into dark matter and dark energy. The GMT’s findings probably will also give rise to new questions and lead to new and unforeseen discoveries. The GMT Organization board of directors officially approved the project’s entry into the construction phase in early 2015 after the 11 international founders committed more than $500 million toward the project. Founders come from the U.S., Australia, Brazil and South Korea, with Chile as the host country. The Giant Magellan Telescope Organization manages the project on behalf of its international partners: Astronomy Australia Ltd., The Australian National University, Carnegie Institution for Science, Fundação de Amparo à Pesquisa do Estado de São Paulo, Harvard University, Korea Astronomy and Space Science Institute, Smithsonian Institution, Texas A&M University, The University of Arizona, The University of Chicago, and The University of Texas at Austin.